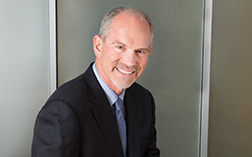 Larry Gottlieb is the managing shareholder at Betts Patterson Mines, and has been practicing law in the Seattle area since 1991. Specializing in insurance coverage law, Mr. Gottlieb works primarily for the insurance industry throughout the Pacific Northwest as an advisor, trial lawyer, and appellate advocate in the areas of first-party coverage, general liability coverage, professional liability coverage, and extra-contractual liability claims. He also represents policyholders in the defense of various types of complex liability and damages claims. Foss v. Aetna, et al., - multiparty lawsuit involving coverage claims for ship and tugboat operations in the Commencement Bay-Near Shore/Tide Flats Superfund Site and the Lake Washington Ship Canal. Newmont USA Limited, et al., v. American Home Assurance Co., et al., –multiparty lawsuit involving coverage claims for uranium mining operations in eastern Washington. Gull Industries, Inc. v. Allianz Underwriters Insurance Co., et al. - multiparty lawsuit involving coverage claims for gas station operations at numerous sites throughout Washington, Oregon and Idaho. Northwest Natural Gas Co. v. Continental Casualty Co. et al., – multiparty lawsuit involving coverage claims for manufactured gas operations located near and in the Portland Harbor Superfund Site. Evraz Inc. NA, Inc. v. Continental Insurance Co., et al.,– multiparty lawsuit involving coverage claims for steel manufacturing operations in the Portland Harbor Superfund Site. Schnitzer Steel Industries, Inc. et al v. Continental Casualty Co., et al., – lawsuit involving coverage claims for metal recycling operations in the Portland Harbor Superfund Site. Century Indemnity Company v. The Marine Group, LLC, et al.,- multiparty lawsuit involving coverage claims for shipping operations in the Portland Harbor Superfund Site. ZRZ Realty Co. et al. v. Beneficial Fire and Casualty Insurance Co. et al., - multiparty lawsuit involving coverage claims for shipping operations near the Portland Harbor Superfund Site. Forrest Glade HOA v. Allied Mutual Insurance Co. et. al.,- multiparty lawsuit involving collapse coverage claims for residential property near Seattle, Washington. Young v. Contractors Bonding and Insurance Co., – lawsuit involving construction defect coverage and claim handling claims for residential property near Olympia, Washington. Crockett v. Amica Mutual Insurance Co., - lawsuit involving construction defect coverage claims for residential property in western Idaho. Colfax v. Nationwide Insurance Co., et al., - multiparty lawsuit involving coverage claims for a grange operator’s commercial property in eastern Washington. Dye Seed v. Farmland Mutual Insurance Co., - lawsuit involving coverage and claim handling claims involving seed broker transactions in eastern Washington. National Fire Insurance Company of Hartford v. Costco Wholesale Corporation et al., - multiparty lawsuit involving coverage claims for a class action lawsuit alleging the sale and distribution of a defective consumer product.